As an agency that works closely with key players in the SaaS space, we have the privilege of conversing with extremely tech-savvy clients who possess industry-leading marketing acumen. So, when we start fielding the same questions about specific aspects of the inbound methodology from a variety of our partners, we can safely assume that these challenges are faced by a wide swath of inbound marketers. One such concern involves lead nurturing best practices. Often overlooked, lead nurturing is a critical aspect of leveraging marketing assets to drive sales. In fact, 79 percent of marketing leads never convert into sales, and lack of lead nurturing is the common cause of this poor performance. 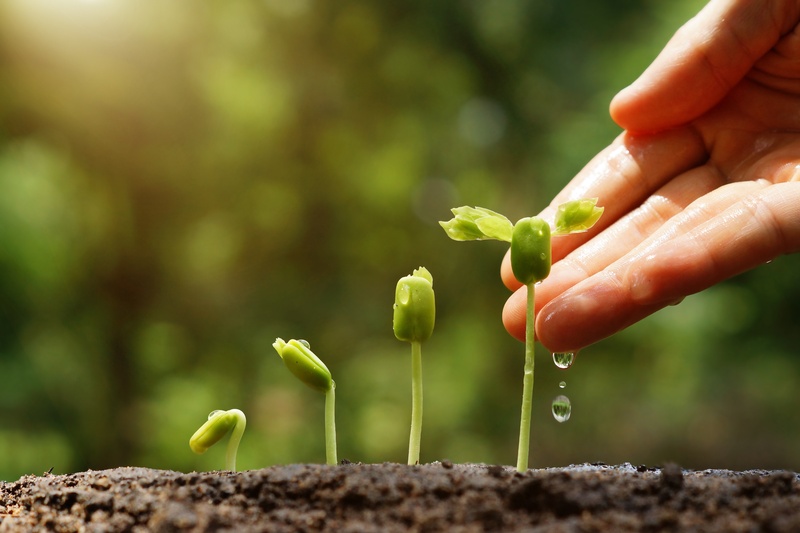 While lead nurturing can be a daunting task, there are tools and strategies worth considering in order to achieve the greatest ROI on your initiative. The best way to identify the efficacy of your nurture campaign is by setting goals using the Goal Tool in HubSpot Workflows. This discreet little button on the top left corner of your workflow pages actually holds the key to successful nurture stream management. First and foremost, using this tool will help inform how you build your nurture stream. By keeping a goal or KPI at top of mind while developing a nurture stream, your team will maintain focus on the end result, and prevent a tendency to introduce obfuscating content or convoluted workflow logic. Ideally, a nurturing workflow should be a strategic and streamlined path to get your contact from point A to point B.
Secondly, setting goals using this tool will help manage contact enrollment within your nurture stream. If a contact is enrolled in the nurture stream and then performs some qualifying action at any point throughout the workflow to achieve the “goal”, they will be un-enrolled from the nurture stream and ideally enrolled in the next relevant nurture stream as they move down the inbound funnel. If a contact already meets the goal criteria, they will automatically not enroll in the nurture stream, even if the enrollment logic would otherwise allow them to do so. Establishing a goal will provide sound metrics for tracking the overall performance of the nurture stream. Using the performance tab on the workflow page, you can track contact enrollment, contacts lost, workflow completion and goal achievement over time. The most common challenge marketers face when implementing nurture streams is low conversion rates. Lead nurturing emails generate an 8 percent CTR compared to general email sends, which generate just a 3 percent CTR Despite our best efforts to create value for a contact, there is no “perfect solution” for successfully nurturing a lead. If you’re finding that your nurture stream isn’t delivering right off the bat, don’t worry! There are always opportunities to make improvements over time. In fact, consider a nurture strategy as an evolving process that inherently needs to be updated as your business grows. There are three primary considerations when refining the nurture stream: the cadence, the nurture strategy and the content strategy. While each one of these can be adjusted individually, it’s important to recognize the relationships therein. Cadence is frequent a tripping point while building out nurturing streams. Generally speaking, when you are beginning an engagement with a potential customer, less is more. While you might want to start firing off your shiny new premium content, take a step back and put yourself in the shoes of your audience. How often do they really want to hear from you? Your role as a marketer should be that of a thought leader, available for consultation but not as a broadcaster or loudspeaker. Engagement frequency should correspond with the audience’s position in the buyer’s journey. As the contact moves closer to becoming a customer, the time delay between emails should shorten to ensure your company is at the front of the contact's mind during the decision phase. Lead nurturing strategy refers to the overall steps taken to move the contact on to the next stage of the sales funnel. When a contact enters your ecosystem through a blog subscription (as in the Subscriber stage), the amount of energy needed to move them onto the Lead stage is relatively low, in comparison to what is necessary to convert a Marketing Qualified Lead to a Sales Qualified Lead. Consider building logic into your workflows that provides a reasonable exit path for enrollees who stop engaging with content (fail to open successive emails). I’ve encountered multiple instances where workflows simply end without any next steps. All nurture streams should have clearly defined inputs and outputs. Content strategy is the third important consideration when it comes to ensuring that the communication directed toward your contacts is in line with their expectations. For the contacts that have just entered your sales funnel, content needs to be insightful, yet concise. This is where your shareable (ideally viral) content will live. As your lead nurturing begins to address your lower-funnel audience, begin to consider offering more granular content that requires a higher level of engagement. Here’s your opportunity to provide information that shows the true value of your product or service to a potential customer as they enter their decision-making phase. Lead nurturing is as much an art as it is a science. By using the tools and analytics available in HubSpot for informed feedback on performance, and by adopting the outlined best practices to steer your next lead nurturing campaign, you'll drive more qualified leads through your sales funnel while reducing the guesswork that plagues many marketers who undertake these initiatives. Steve is a former New Breeder.